First a few things to consider when choosing a martial art school. First martial translated means war. There are few true war or defensive arts. Most are sport arts. If you are wanting just a workout or to do tournaments. 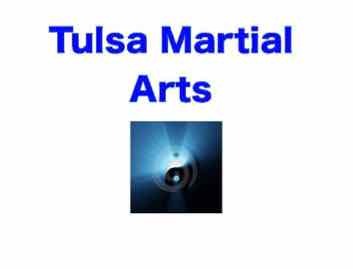 Tulsa Martial Arts is not for you. If you are wanting to teach your children something real that they can use to escape an abductor, or for an adult needing skills to repeal some serious bad guys, welcome to our world. While one bad thing may send up a red flag, two or more you may want to look elsewhere. 1. A guaranteed black belt- There are no guarantees on passing tests in the real world. 2. Time in grade / rank promotions- Just being there shouldn't get you higher rank or allow you to pass tests. 4. Telling you that what they teach is perfect for all things and situations. No art is good for everything. They were either designed for defense or tournaments not both. 5. They do not belong to a recognized martial arts association and are local only, and do not offer association membership for their students. 6. They do not have rank certificates, or if they do they come only from the school or head instructor. Rank certificates should come from a recognized international association which students must join to be accredited. If not, the school makes the certificates themselves. Kind of like you being able to print your own money. This is one of the reasons Congress is considering national regulation of the martial arts industry. 8. There are many colors of belts in the martial arts, camouflage is not one of them. Good grief. 9. If the classes are all workout and little martial arts instruction; congratulations you are in an aerobics class! 10. An instructors students are like apples that fall from a tree. Sure there will be some bad ones (they cant perform the martial arts moves well) as any quality instructor tries to help those who need him / her most, but the majority of the class members will give you an indication of what to expect. Look at the high ranking students. If they can take care of business (you know what we mean) then you can expect they will get you to that level. On the other hand if you see the blackbelts in action and think to yourself that the average bad guy could beat that black belt, then run for the door. A good rule of thumb to find out more about a style is to go online and type the style followed by .org in your web browser. The .org's are usually the authority on the style. Please bear with us as we have taken over this website from another business and are in the process of making it our own.